Liesel stole the hearts of Ed and Ingrid Carney at 4 months old. The Carneys had planned to add a dog to their family in Cary, N.C., having previously rescued greyhounds and setters. 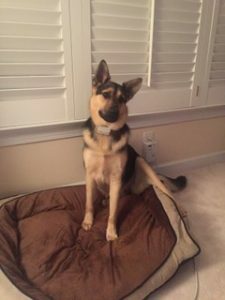 They were ready to try something new and had a plan that did not include adopting a rescue or a German shepherd since Ingrid had difficult experiences with them in the past. One look at Liesel’s photo online unraveled everything. The Carneys were smitten. 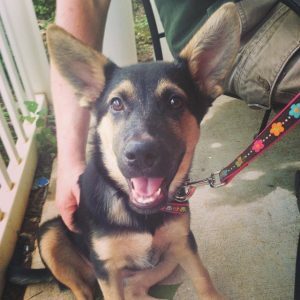 They quickly adopted her from a local German shepherd rescue. A few years later, life took another deviation from the Carneys’ plans when Liesel was diagnosed with bilateral hip dysplasia and moderate osteoarthritis in both hips. After one of those car rides, this time to the beach, Liesel jumped out of the car and began hobbling around. The Carneys immediately knew that something was wrong and called their vet, Warren Gintis of Swift Creek Animal Hospital in Raleigh. The orthopedic surgery team at the NC State Veterinary Hospital performed an uncemented total replacement of Liesel’s left hip. Even with bilateral hip dysplasia, meaning both of Liesel’s hips are affected, it is only necessary to replace the hip joint causing her the most pain. About 20 percent of dysplasia cases require replacement of both hips and mostly applies to working dogs. Hip dysplasia, or joint laxity, is a common genetic condition for many large dog breeds like German shepherds and begins as a puppy. Exacerbated by obesity, it causes abnormal movement of the femur within the ball-and-socket hip joint. The resulting unnatural movement at the head of the femur, called the ball, causes it to partially dislocate and rub against the rim of the socket in the hip, which causes a loss of cartilage that protects the bones. Over time, the body compensates for the cartilage loss, known as osteoarthritis, by increasing new bone formation around the joint. However, if the joint stays unstable, it continues to be inflamed and painful. An uncemented total hip replacement eliminates joint pain by removing the damaged joint surfaces and reproducing the mechanics of the ball-and-socket hip joint with natural range of motion and limb function. It’s also the best way to manage hip pain that doesn’t respond well to medical treatment, such as weight and activity management or medications. 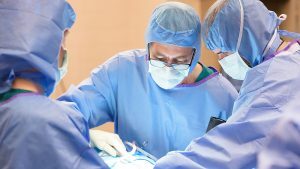 As in human medicine, uncemented total hip replacements involve surgery that replaces the head with a metal ball and the socket with a metal-backed cup with a polythene liner to prevent metal from rubbing against bone. Uncemented implants are specially designed to encourage bone to grow and adhere to them in the weeks after surgery. This results in excellent long term stability. The hospital generally performs total hip replacements when dogs are between 10 to 18 months or 5 to 8 years old, as this is when dogs experience the most hip discomfort from arthritis or injury. 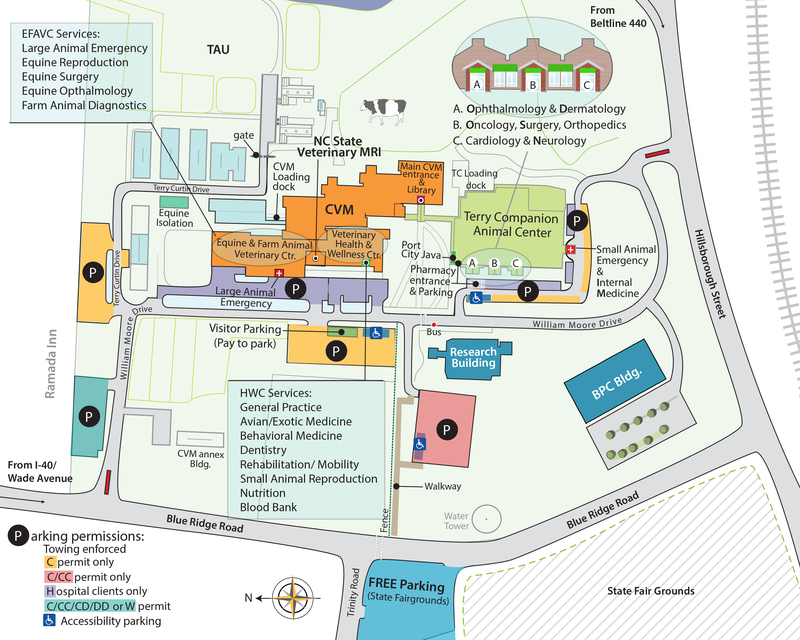 The uncemented system used at NC State will last the lifespan of the dog, even if surgery is performed at a young age. 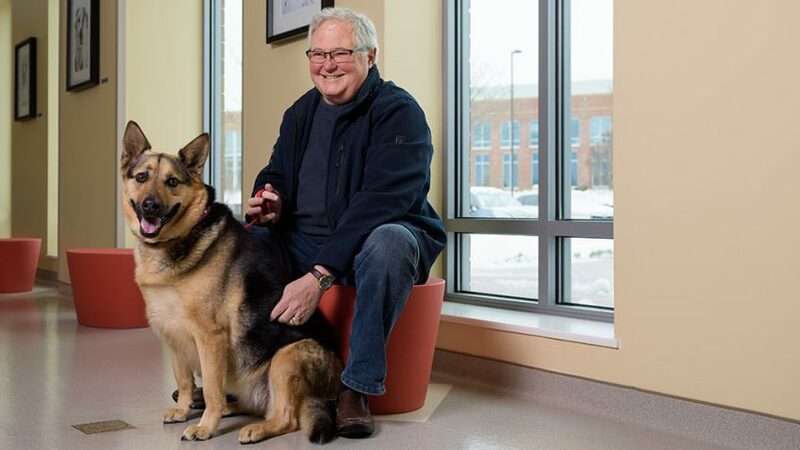 Many factors, including age, lifestyle, therapy successes and understanding risks help clients like the Carneys decide when it’s the right time to schedule a total hip replacement for their dog. Recovery from a total hip replacement takes at least three months of strict cage or small area confinement. Even though most dogs can stand and bear weight on the replaced joint one week after surgery, it’s very important to limit activity to give the bone time to grow into the implant and the muscles and tissues time to heal around the joint. For now, the Carneys are watching what they say around Liesel. Before her surgery, she would get very excited by certain words and phrases. They hope that after a few more months of healing Liesel will be back to acting like the sheriff of the dog park and enjoying rides in the car. In the meantime, the Carneys are making new plans to help Liesel enjoy her extra hours of rest and relaxation at home. From start to finish, they believe that NC State lived up to its reputation and are extremely grateful for their vet’s recommendation. To learn more about the orthopedic surgery service, visit their web page.